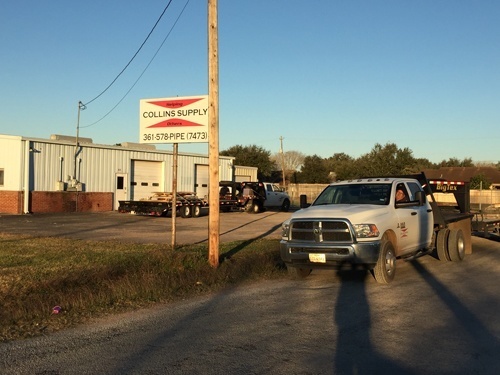 Collins Supply serves the South Texas Crossroads’ needs for pipes, valves, fittings and specialty metals. Whether it’s large industrial projects, urgent maintenance demands, or small fabrication requirements, our goal is to consistently serve your needs quickly, safely and accurately. With diverse inventory, extensive knowledge of construction and maintenance, and our own transportation team, we are committed to exceed all of our customer’s expectations.